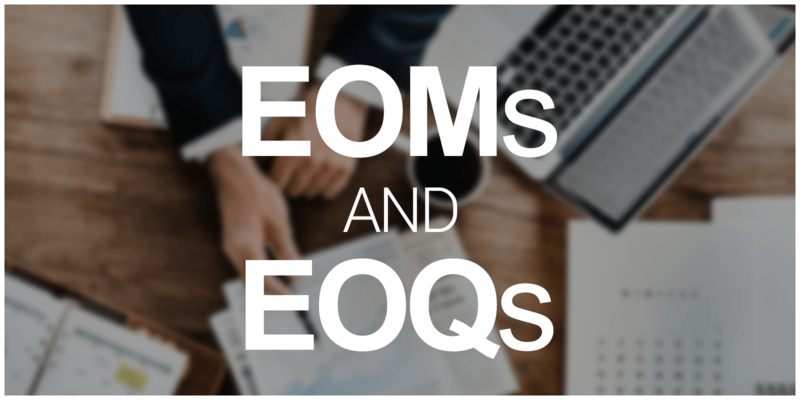 For many companies around the United States, end of the month AND end of the quarter (EOM and EOQ, respectively) is particularly important and, often, particularly stressful. In the logistics and transportation world, these two days tend to present their own special challenges: inventory, quotas, dock space, truck capacity, quarterly reports…yikes. The pressure’s on. Because while you’re dealing with your own company’s EOM and EOQ duties, many of your customers are in the same boat. So how can you help them prepare–and help yourself along the way? In an informative article titled, 3 Techniques to Ensure Customer Success as You Start a Quarter, marketing guru at ClientSuccess Burke Alder discusses three techniques you can employ to help your customers succeed as they begin a new quarter. Alder reminds readers that having an early game plan in place is crucial to you and your customers’ success. Don’t be ill-prepared when EOM/EOQ comes around. You don’t want to miss out on important opportunities to move the needle for your company–and to assist your customers in doing the same. Technique #1: Review Customer Goals & KPIs for the Next Year. Alder recommends you ensure your customer is as prepared for the new quarter as you are. First they must understand their goals and KPIs (Key Performance Indicators). Alder suggests asking customers these questions. What impact do you think those changes will have on your business? What are your personal KPIs for next quarter? How will our product or service play a part in meeting those goals? What will success mean as it relates to our product/service? What major milestones do you see as it relates to our product/service next quarter? For your company in general? Once you know the answers to these questions, you can strive to hit these goals and milestones WITH your customers. The advantage belongs both to you and your customer! Technique #2: Ensure Your Customer Is Prepared. Give your customers a bigger picture as to where they are situated in direct relation to their goals and and success, by asking these questions. How far have you progressed according to your current 2018 plan? What can you do to accomplish your plans? How are you situated in relation to your competitors in your industry? Make sure this investigation includes a robust examination of how well your customer is utilizing your services. Alder asserts the importance of digging deeper to help customers “identify new and innovative ways to use your product or service to see the most value and return so they are sure to renew when the time comes.” Ask yourself: What does my customer need from us to be exceptionally successful? The key here is to know where your customers are on the buying spectrum for your product or services. This information allows you to create a plan customized to the customer’s unique situation. You don’t want to sell heavy-handedly to on-the fence customers. And you should never go silent when an upgrade or renewal is on the horizon. Similarly, you mustn’t upsell products or services with no real value for your customers. These tactics frustrate customers and negatively affect their decisions. Instead, Alder advises creating “engagement plans” for your customers – plans that understand exactly where each customer is in the buying or renewal process. Map the engagement plan well before it’s time to sell/upsell/renew. An internal evaluation of the products and services the customer uses. A recommended path forward directly aligned to customer goals and KPIs. A plan for when and how you’ll engage with and present your plan to your customer. Remember, if you want to help customers successfully begin a new quarter, you and your company must also be prepared to begin a successful quarter. This requires early and thorough planning, specific and measurable goals to review and revise quarterly, and a solid understanding of your own relationships and roles with customers, competitors, and your industry. Interested in more tips for helping customers succeed? Check out Alder’s blog post: The Golden Rule of Customer Success – 8 Guiding Principles. Or give AM Transport Services a call, we’d love to help you create a plan for the coming year.